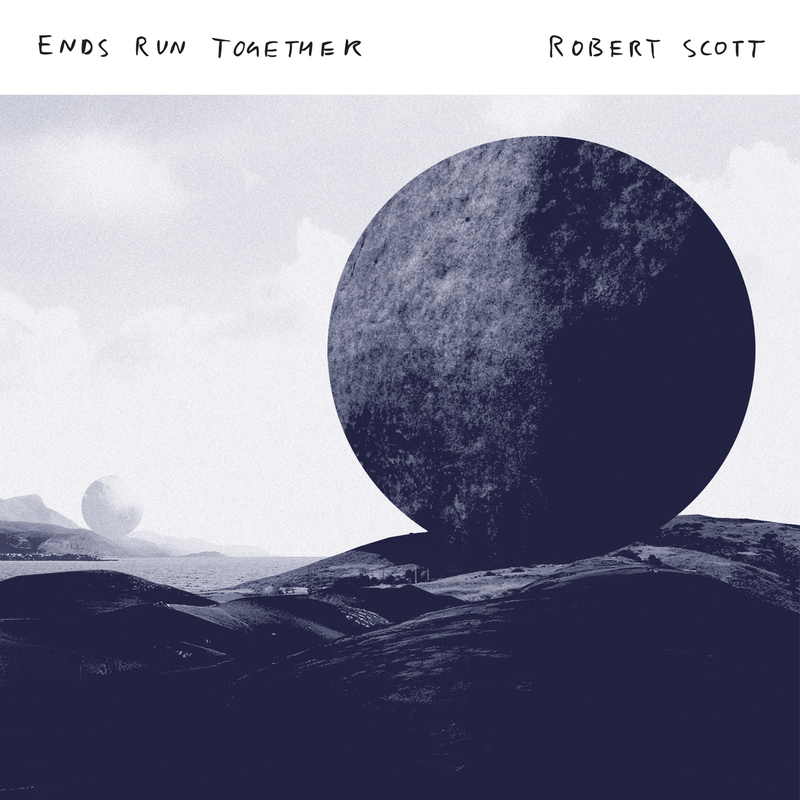 Mistletone is proud indeed to release Ends Run Together, the brilliant new solo album by Robert Scott. Robert Scott’s list of music projects over the years reads like a who’s who of alternative New Zealand rock for the past three decades. As well as his main role as bass-player, song-writer and non-Kilgour in legendary New Zealand noisy jangle-pop pioneers The Clean and as singer, guitarist and songwriter for his equally enduring band The Bats, Robert Scott also helmed the acclaimed Magick Heads for their brief but productive time on earth in the 1990s. In amongst those commitments he’s fronted a bewildering variety of less well-known groups from the long running family & friends cassette band Electric Blood to the short-lived Gina Rocco & the Rockettes, while contributing to various Flying Nun Records super-groups like The Weeds along the way and drawing or painting the cover art for many memorable Flying Nun album sleeves. It’s hardly surprising therefore that Robert has found little time to pursue many solo records. But songs – lovely, glorious, subtle, mysterious, sad, questioning, dramatic, simple, transcendent, perfect songs – pour out of Robert Scott constantly, collected in exercise books and on cassette tapes over the years. Unbelievably, some of those brilliant songs don’t find homes on albums by The Clean or The Bats. Here, then, is a collection of those songs Robert Scott wants the world to hear. 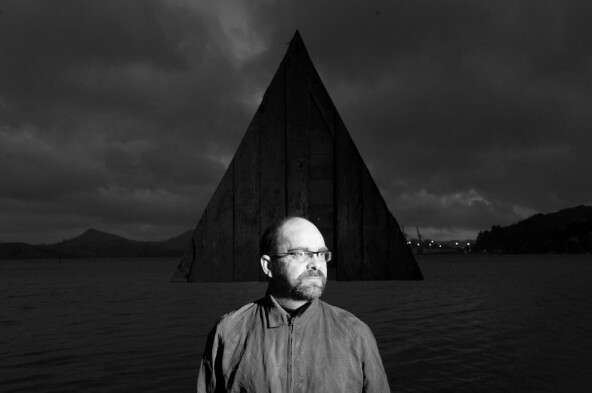 Rather than present them in the low-key way of his only previous solo album – the largely instrumental, experimental The Creeping Unknown (2001) – Robert has taken the uncharacteristic step over the last few years of surrounding himself with some of the talented community of musicians in his Dunedin, New Zealand home, handing the production reins to local recording guru Dale Cotton (HDU) and giving these 13 sublime tunes the space and attention to grow into fully-realised classics. The result is an outstanding album of 13 engaging songs, as likely to appeal to any fan of great alternative pop as much as to those already familiar with The Bats and The Clean (and the Magick Heads for that matter). To Robert’s guitar and voice (which has never sounded better than it does on this album) are added the talents of Don and Ants from Dunedin noise-rockers Onanon, the gothic angel choir of Haunted Love’s Geva and Rainy (who contributed the glorious backing vocals to The Clean’s recent album Mr Pop) and the ubiquitous Allan Starrett on strings and other strange old instruments. Miraculously, even Lesley Paris (Look Blue, Go Purple) has been coaxed back onto a drumkit for some of the songs. The biggest treats on this album, apart from the consistent quality of Robert’s song-writing, jam-packed full of pop hooks, are the varied moods and intelligent arrangements confidently presented here. There have been hints of the diversity of his talents on his contributions to recent albums by The Clean but nothing quite prepares for the rich treasury of songs on Ends Run Together. The album features everything from layered, squalling guitar rock (On the Lake, Too Early and The Rising Tide), dreamy pastoral folk with washes of subtle electronica (Carmilla, Days Run Together, Some Other Time and Messages), driving krautrock-ish pop (The Rising Tide, The Moon Upstairs and Daylight), right through to the gloriously lush orchestral epic centre-piece Born in a Tent. In a world of ambitious pretenders, the ever humble, obliging and low-key Robert Scott is the real deal and Ends Run Together is as fine a tribute to his colossal talents as you could want. Ends Run Together by Robert Scott is out now on Mistletone Records through Inertia and available on mail order for $20 including postage worldwide. The Bats do what they do so well – steady guitar jangle, tight rhythm section, pensive vocals – that no one really expects more from them. It makes the second solo album by their singer/guitarist Robert Scott all the more surprising. His voice may still tug with vague pangs of sadness and romance, but Ends Run Together is like a mixed bag of treats. There’s gauzy spoken-word on ‘Terminus’, noisy psych on ‘Too Early’, and a Krautrock chug to ‘Daylight’ – and that’s just for starters. Tempo and volume rise and fall, guests come and go, and yet Scott maintains the low-key presence that has held together so many Bats records over the past three decades. Scott’s willingness to experiment was matched by engineer Dale Cotton, a fellow Kiwi who’s also set to helm the next Bats album. Cotton worked closely with Scott to tweak and transform songs, teasing out lots of fresh ideas in the process. Under this anything-goes premise, friends were brought in to contribute drums, accordion, saw, and more. Cotton himself lent guitar, keys, and, um, “stone”, while Scott got to play around with piano, bass, different guitars, xylophone and even handclaps and a turntable. Thus his delicate, atmospheric songs are alternately bolstered and stripped bare, whether it’s David Kilgour – Scott’s bandmate from The Clean – lending a bit of guitar or members of Haunted Love providing a choir to a mournful swell of viola, violin and cello. Or no one at all. The stirring instrumental ‘Tuscan Nights’ is the work of Scott on his lonesome. In a recent interview, Scott cited John Cale’s Paris 1919 as one of his favourite albums. While Ends Run Together is a much more modest undertaking, it shares a sense of introspection and nostalgia rendered through lush arrangements and glistening melodies. It’s hard to view this album outside the context of Scott’s extensive work in The Bats and The Clean, but for anyone who feels intimidated by the sheer bulk of that influential back catalogue, this is a nice place to start. Over the last three decades, the Bats have relied considerably upon word-of-mouth support to build and sustain a cult fanbase. Today, not so much. Urged on by the Melbourne label Mistletone, which released last year’s gorgeous The Guilty Office, the influential Kiwi quartet played Melbourne twice in the past 12 months. Both gigs highlighted the renewed Australian interest in music released by the Kiwi label Flying Nun. Now Mistletone is releasing a solo album from Bats frontman Robert Scott, who’s doing a single solo gig to mark the occasion. To lift a phrase, it sounds like the beginning of a beautiful relationship. As for his solo gig, it just happened that Scott and his wife were planning an Australian holiday around the time his solo album, Ends Run Together, would be released. The timing worked out perfectly for a low-key appearance to promote the album, which sounds as much like the Bats at times as it doesn’t at other times. It’s clearly Scott singing – complete with his nasal voice and sharp accent – and yet the familiar palette of intense guitar jangle and a hard-driving rhythm section has been exploded. Instead are quiet, open-air songs that flirt with blissful strings (Born In A Tent), sublime guitar work (The Moon Upstairs), thoughtful keyboards (Tuscan Nights), and some Krautrock-worthy jamming (Daylight). There’s even a bit of spoken word on the closing Terminus. It’s a widely varied baker’s dozen, united by Scott’s intimate delivery and haunting imagery. For the solo album – only his second, following 2001’s esoteric The Creeping Unknown – Scott enlisted a handful of Kiwi musicians and producer Dale Cotton, all of whom recorded in his home in Dunedin. His method of songwriting was the same as with the Bats, but the project’s solo nature meant that many songs changed quite a lot over time. Too Early lost a chorus, Born In A Tent couched half its drums for dramatic effect, and The Rising Tide saw its focus swing from heavy guitar chords to its yanking bass line. The thing is, Scott will be performing these songs live. Some of them, at least. A few friends will accompany him at his Melbourne gig for three songs off the album and some well-known Bats tunes. Scott will also play a handful of the songs on his lonesome. But lest we imagine the solo bug has truly gotten to him, he assures us another Bats album is already in the works with Ends Run Together producer Dale Cotton. It will be the band’s eighth studio album, and only its third since 1995. That makes it almost as special an occurrence as Scott’s solo album. Robert Scott, bass player with The Clean, guitarist and vocalist with The Bats, and protagonist and participant in a host of other semi-legendary New Zealand independent outfits (Magick Heads, The Weeds, Electric Blood) has just returned home from his other job, teaching music to primary school children. “It’s pretty much immediate and – I’m not sure if there’s actually a word – ‘intuititional’,” Scott explains, when I ask him what his technique is for teaching music. “The kids will give me words they’re leaning, and I’ll come up with some chords to go with the words, and I’ll ask them the vibe they’re looking for,” Scott says. Every now and again Scott’s students gain a glimpse into his internationally renowned music career. “Occasionally they’ll dial up a song, and they’re quite intrigued by my other life,” Scott laughs. Scott has been playing and recording music for the best part of 30 years, becoming one of the key figures in the Flying Nun community. 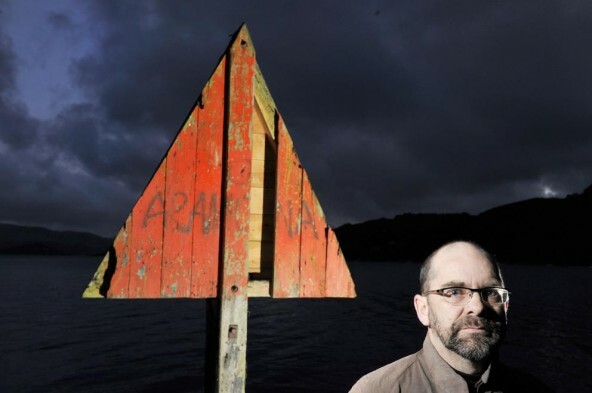 Along with David and Hamish Kilgour, Scott formed the axis of cult noise-pop band The Clean; in between his periodic commitments with The Bats, and the occasional fringe activity, Scott released a solo record in 2001, The Creeping Unknown. Almost 10 years later, and Scott has released a second solo album, Ends Run Together. “I’m pretty much writing all the time,” Scott says. “I have more songs than I have an outlet for releasing them.” The songs on Ends Run Together were conceived originally in 2009, with Scott finalising the tracklist in what he says was “a pretty short space of time”. Ever the eclectic performer, Ends Run Together ranges from lush orchestral pieces to electronica to classic Dunedin pop. “In putting the album together I was conscious of wanting a bit of variety,” Scott says. “I was trying to put a bit in for the different types of fans, and I wanted to mix it up a bit,” Scott says. Scott isn’t sure exactly what distinguishes a Robert Scott song from a Clean or a Bats song, apart from the other players who are performing the songs. “There’s a lot in common with them all, “ Scott says. “I think it’s to do with how the band treats the songs, and attacks them. But there’s certainly a lot of cross-correlation between Bats and Robert Scott songs,” he says. As a songwriter, Scott’s quest is to improve his approach to writing songs. “A lot of time it’s about trying to get better at the process – trying to better what my last tune was, “ Scott says. The process is simple: “Often I’ll overhear something that’s been said, and it’ll inspire me to write a song, “ Scott says. “I might start with a guitar or a keyboards, and get the chords or a melodic line and build it up as it goes along,” he says. 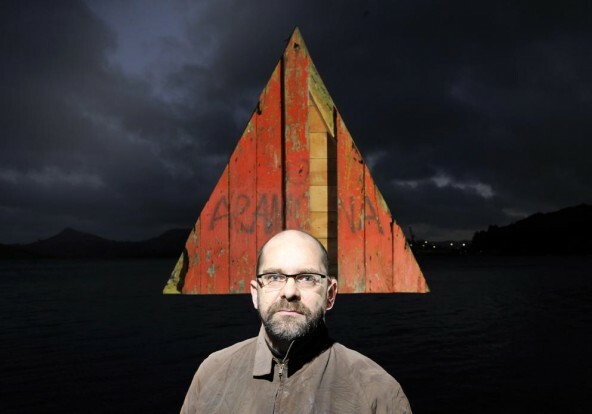 For Ends Run Together, Scott called upon various friends and contemporaries in the New Zealand independent scene, including Allan Starrett, Lesley Paris and Don and Ants from Dunedin band Onanon. “They’re pretty much all friends I play with or have a drink with, “ Scott says. Once in the studio, Scott found many of his early compositions underwent reinvention. “Daylight changed a lot, and Rising Tide started as a guitar song,” Scott says. “We ended up stripping away the guitar and it became focused on the bass line. Too Early originally had an entirely different chorus. Sometimes you can start out with a song, and end up with a piece of music that you didn’t expect to have at all, “ Scott says. In the 1980s the so-called Dunedin sound dominated the New Zealand independent scene; 25 years later and Scott says it’s still vibrant, if not quite as vivid as days of yore. “There’s been a resurgence in live music – there’s a really good venue near when I live in Port Chalmers, “ Scott says. “The scene here has moved on a lot from the 1980s, but there’s still plenty of reference points back to the 80s that are made by musicians or critics, “ he says. At the end of the day, the same basic conundrum – how to attract an audience to live shows – remains. “It’s still a case of trying to get people to come to shows,” Scott says. As the interview concludes, I ask Scott if he’ll be returning to Australia with The Clean. The signs are positive. “There’s a very strong possibility we’ll be coming over in March,” Scott says. “Something will be confirmed one way or the other”. In the meantime, however, Scott has more pressing concerns – like transposing his new record into a live format. “I’ve just got to work out how to play the songs on the record live,” Scott laughs.